Ladakh often termed "Heaven", is one of the exquisite vacation spots in India. Renowned for its natural beauty that draws everyone to Ladakh has a rich and amazing heritage. Buddhism is a dominant religion, and so beautiful holy Monasteries are built all over the place. The Monasteries are historically and religiously important and hold the Buddhist heritage alive. Also known as Gompas, they run as educational and religious centres. The monasteries are world-renowned and attended by both local and international travellers. The monasteries delight the visitors with the beautiful interior, incredible architecture that is a mix of Buddhist and Tibetan shills. They also have a wonderful view as it is surrounded by snow-capped mountains, cold deserts, lakes, surreal glaciers, mountain passes and peaceful environment that offer religious prayer to attain peace of mind and purify one's soul. Most of the Monasteries are located on the hilltop which makes it even more enjoyable for the travellers to enjoy its beauty and click pictures. 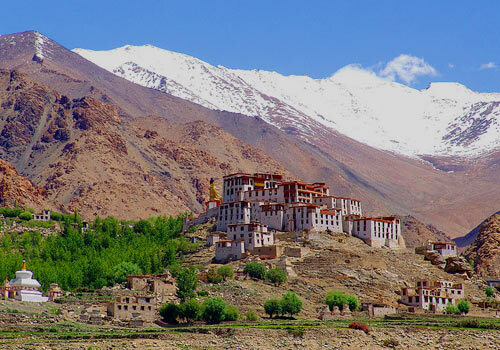 Alchi Monastery is the oldest Buddhist learning centre in Ladakh. It is established seventy kilometres from Leh in Jammu and Kashmir. The Spituk Monastery which was created in the 11th century is about eight kilometres from Leh. 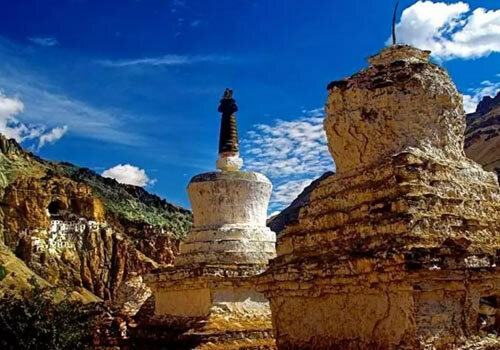 The Likir Gompa is one of the oldest and well-preserved monasteries. Some other notable monasteries are Karma Dupgyud, Hemis monastery, Matho monastery, Rangdum Gompa, Thiksey Monastery, Diskit Monastery etc. Ladakh and its monasteries are a must visit as they are worth the time spent there. With the friendly people, warm environment and beautiful scenes Ladakh is a true Heaven on earth. So why not head towards this surreal land of snow and religion combined. There are just so many memories that one can collect coming here. It is a vacation that one must have in their lifetime. So head to Ladakh today ! 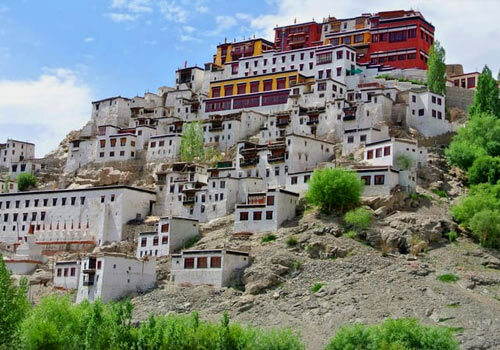 Here are some best Monasteries in Ladakh. Spituk Monastery or Pethup Gompa is a Buddhist monastery located near Leh. This monastery is famous for its architecture and dance festival. 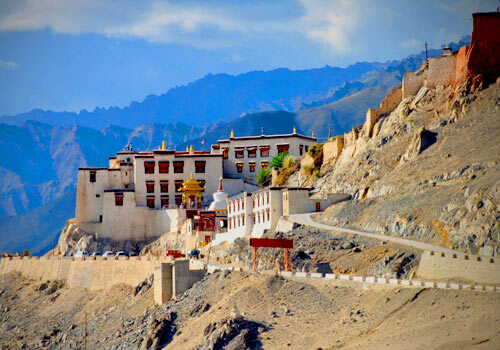 Due to its proximity to Leh, you can find many tourists in this monastery during the tourism season. Shey monastery or Gompa is located near Leh, Ladakh. Shey was the summer capital of the region. The monastery has two floors. The main hall of the monastery has a large Shakyamuni Buddha that scales the two floors in height. On the walls facing the Buddha, you can find paintings of different sages. Diskit moastery or Diskit Gompa is the oldest monastery in the Nubra Valley. With more than hundred monks inside, this monastery is a living place to enjoy the culture and religion of the land. Hemis monastery is a Buddhist monastery in Ladakh. This 17th century monastery is famous for its architecture and the annual Hemis festival of June. The festival takes place for two days and during the prime tourism season. 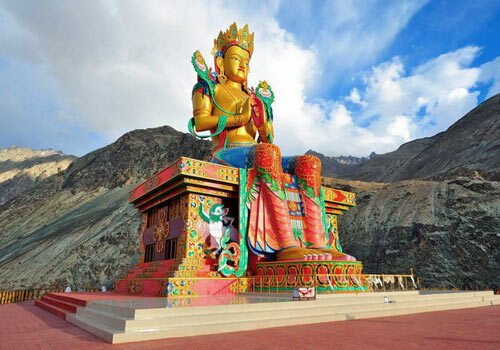 Lamayuru monastery or Yuru monastery is a Buddhist monastery located in Leh district. This is one of the oldest and largest monastery in Ladakh. It is famous for its annual mask dance festival. 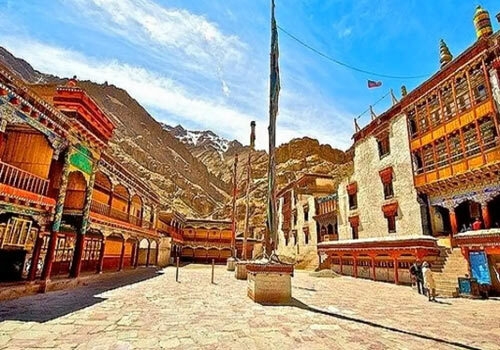 Likir Monastery or Likir Gompa is a Buddhist monastery located near Leh. It is an isolated monastery, which is famous for architecture and culture. View of the monastery from the foothill is the first attraction to enjoy here.